Welcome Home! This lovely updated single story home has 4 bedrooms and 2 full bathrooms with over 1700 sq feet. 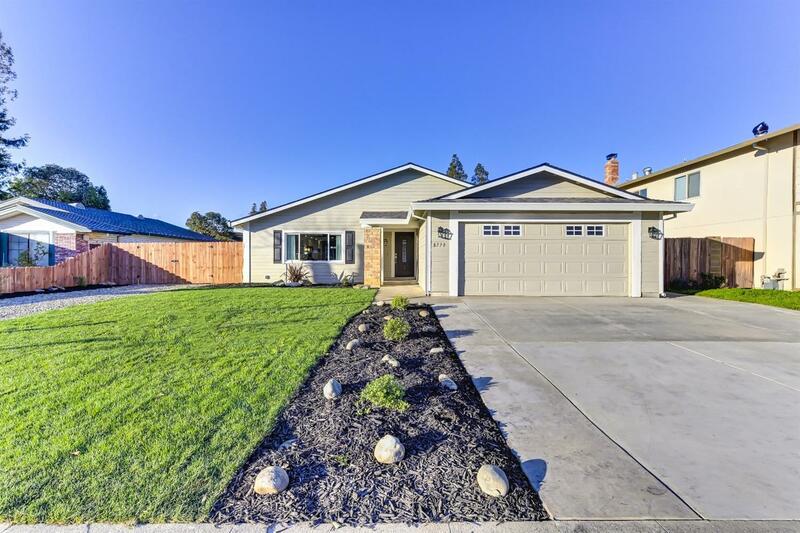 It has a bright and open floor plan with custom upgrades galore. It offers new kitchen cabinets, soft-closing doors, farm sink, quartz counter-tops, pocket lighting, new water-resistant laminate flooring throughout, new windows and slider, new doors, updated lighting, new roof & insulation, new lap siding & stucco, and freshly painted inside and out. The gorgeous bathrooms have Carrara Marble counter-tops, custom vanities and showers, a free standing tub and frame-less shower glass doors. Enjoy endless hours in the backyard relaxing on the patio. Don't forget to bring the TOYS, the RV access has plenty of room for a boat or trailer. Close to schools, shopping and freeway access. Come view this one for yourself!